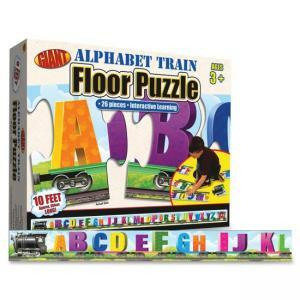 Kids will love having on-the-floor fun while learning their ABCs with the ABC Train Floor Puzzle. 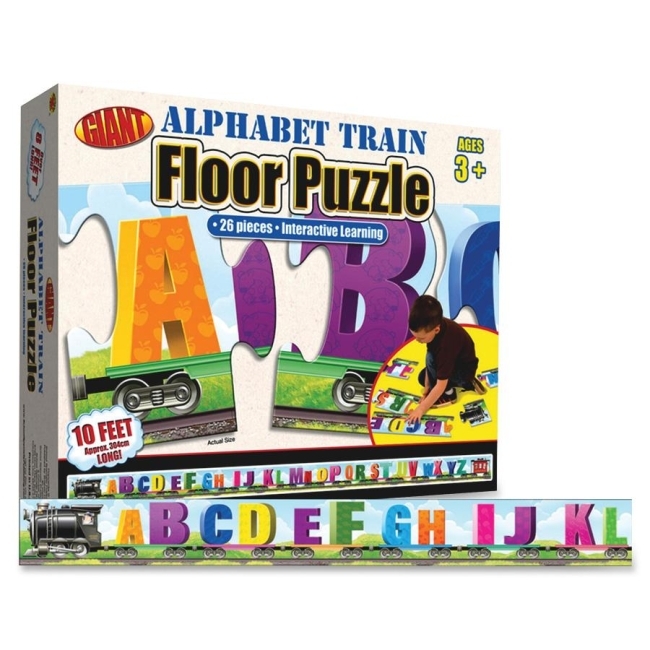 The Alphabet Train for interactive learning is an 8' long giant floor puzzle with 26 extra-thick jumbo pieces tough enough for little hands. Each colorful piece features a piece of train and a letter with picture of a word that begins with that letter. Floor puzzle is designed for children ages 3 and older.